WARREN, Mich. - The Michigan Department of Transportation (MDOT) is holding a news conference Friday to show how the westbound I-696 construction in Macomb County is going. 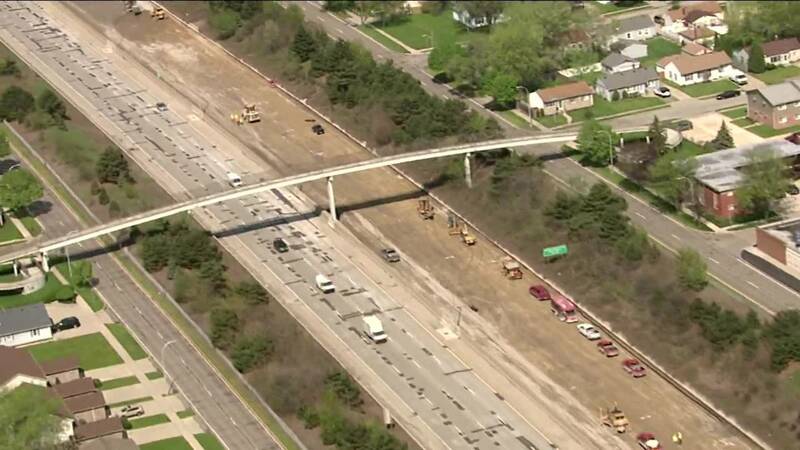 Westbound I-696 is completely shut down to traffic between I-94 and I-75 for MDOT's "Restore the Reuther" project. The westbound lanes of I-696 are not expected to be back open to traffic until November. MDOT said the work is on schedule since the interstate was shut down on April 27. The stretch of westbound I-696 between Dequindre and Telegraph roads in Oakland County is expected to be closed June 1-4 for construction. On Friday, MDOT will be showing how its concrete crusher works during a demonstration near Mound Road and I-696 in Warren. The concrete crusher takes the old/removed concrete and recycles/crushes it into rock that is used as part of the base under the new concrete, MDOT said.